The swamps of the southern region of the state are home to a plethora of unique wildlife. Beautiful aquatic birds, such as roseate spoonbill, white ibis, green heron and brown pelicans, roost near waterbodies within the state at various times of the year. In and around the swamp waters exists several economically and ecologically important species such as largemouth bass, blue catfish, red drum, paddlefish, bowfin (often called choupique), pallid sturgeon, alligator gar, mussels, oysters, blue crab, shrimp and (Louisiana’s favorite) red swamp and white river crawfish. This extensive biodiversity is possible because of various geographical factors that are fairly unique to Louisiana. Attributes such as the Mississippi River flowing through the state, the extensive coastline, and its weather patterns all contribute greatly to this plethora of life. Born from a Wandering River: Learn how a delta is formed, grows, moves and shrinks. Land in Southern Louisiana was built over thousands of years by the sediment carried by the flow of the Mississippi River. Sediment that had eroded and flowed through tributaries distributed throughout the entire Mississippi River basin was deposited along its lower reaches and outlets in the Gulf of Mexico, building the Mississippi River Delta. As the river built land its path was steadily impeded and the slope of its channel reduced. 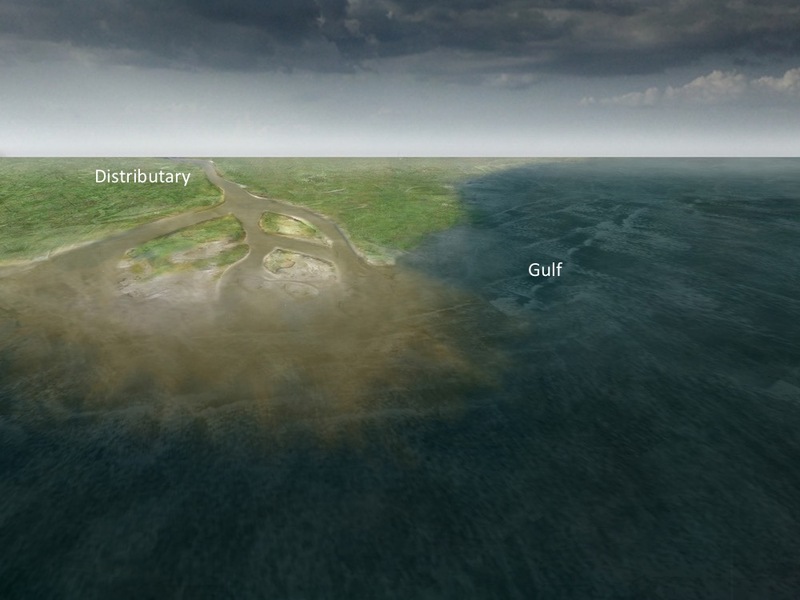 This resistance to flow caused avulsion and the river periodically switched course, creating whole new deltaic lobes. Thus as the river continued to build land in its new alignment, previous lobes were abandoned and no longer had the supply of sediment to sustain them. Slowly these abandoned lobes shrank as subsidence, wave and storm action swept previously built land into the sea. 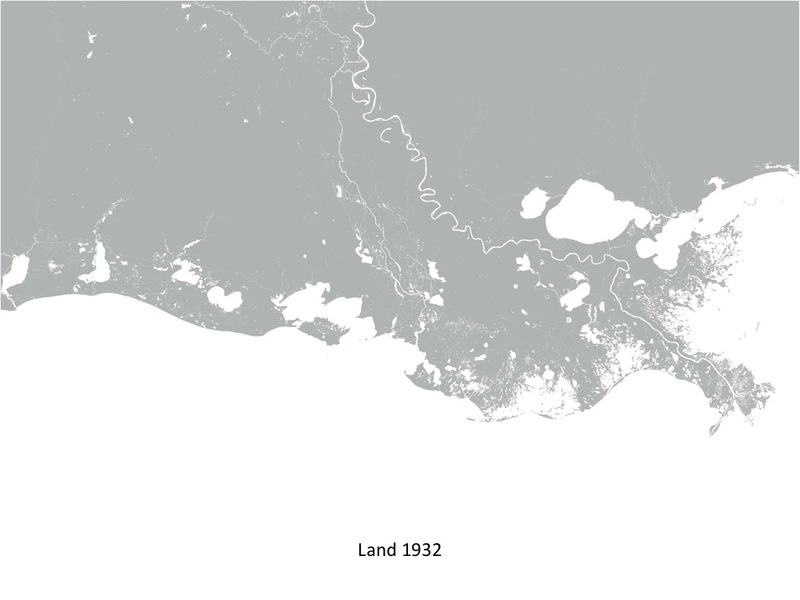 In this way the Mississippi River Delta has always been simultaneously growing in some areas and shrinking in others. Louisiana is experiencing a Land Loss Crisis. Flooding was a problem for settlers in the delta, as a result levees were constructed. River was also highly engineering to improve shipping and navigation. Economy flourished after installment of levees. Flooding disasters were reduced, and development expanded into low-lying lands that had previously been prone to flooding. Oil and gas exploration also boomed. Construction of levees, plus canals and extraction from oil & gas industry, has resulted in detrimental land loss. Subsidence (sinking of the land) has greatly increased, sediment supply has been cut off, and sea level rise is accelerating. Losing a football field an hour. Restoration efforts are underway, and the state plans to implement a brand-new strategy: sediment diversions. These would use the power of the river, much in the same way as the river used to build land, by flooding onto the delta and depositing sediment upon the sinking land. Learn how much land the state is loosing, what is behind the loss and how groups are hoping to correct the problem. Restoration efforts are underway, and the state plans to implement a brand-new strategy: sediment diversions. These would use the power of the river, much in the same way as the river used to build land, by flooding onto the delta and depositing sediment upon the sinking land.